This entry was posted on July 29, 2015 by admin. Planning a baby shower is exciting and fun. Go above and beyond for the special mom-to-be with our guide to planning the perfect baby shower. When deciding on the location, think about what the mother-to-be would appreciate most. Many baby showers are held at home because it provides a private, intimate and comfortable atmosphere. As an added bonus, having a baby shower at the mother's house or the home of a family member or friend saves money. However, think about if the mother-to-be would prefer another location, such as a ballroom, resort, spa or her favourite restaurant. The invitations, decorations and treats should be centred on an overall theme. Consider the mom-to-be's preferences and personality, as well as the new baby when coming up with the perfect theme. If you know the baby's going to be a girl, you can create a mermaid or fairy princess themed party. If you don’t know the gender of the baby, you can use a gender neutral theme, such as a nautical, farm, or safari theme. Guests can also use the party's theme to come up with the perfect baby girl or baby boy gift ideas. Once you know the location and theme, you can start working on the invitations. Keep in mind the location and how much space there is when deciding how many people to invite. 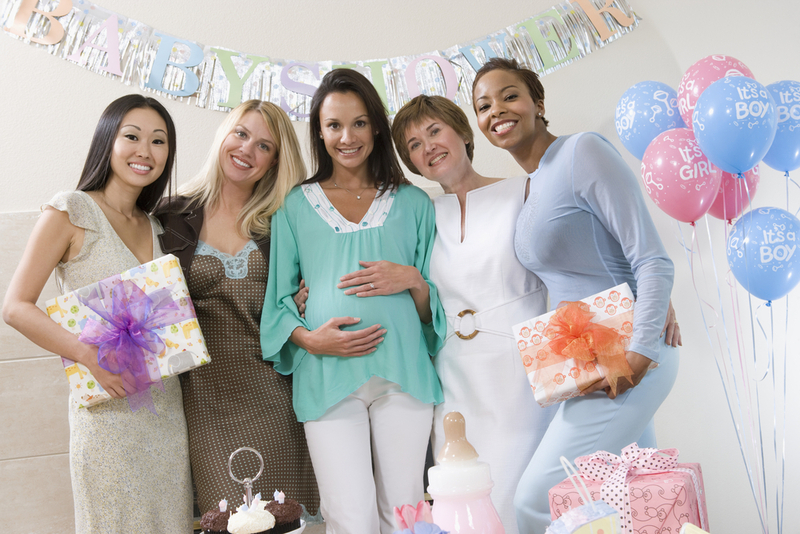 Talk to the mom-to-be's close friends and family members for help coming up with the guest list. Be sure to provide your phone number on the invitation, should anyone need directions or help with a baby gift idea. You should send the invitations out at least four weeks in advance. Kick off the activities portion of the party with Who's the Baby. This is a classic baby shower game and great icebreaker that involves everyone bringing their baby picture and matching the guests to the photos. Mix traditional baby shower games like baby bingo and trivia with other games guests have likely never played before. With these tips, you'll be sure to plan the perfect baby shower!